First Story Real Estate Company Reaches Top Brokerage Goals for 2014 in Just 4 months! Whew! What a great 4 months we have had at the new First Story Real Estate Company Brokerage in Tallahassee, FL. If we ever thought there would be a doubt about our location in the heart of Midtown, or opening this new real estate Brokerage in Tallahassee, FL, we have no doubts now! 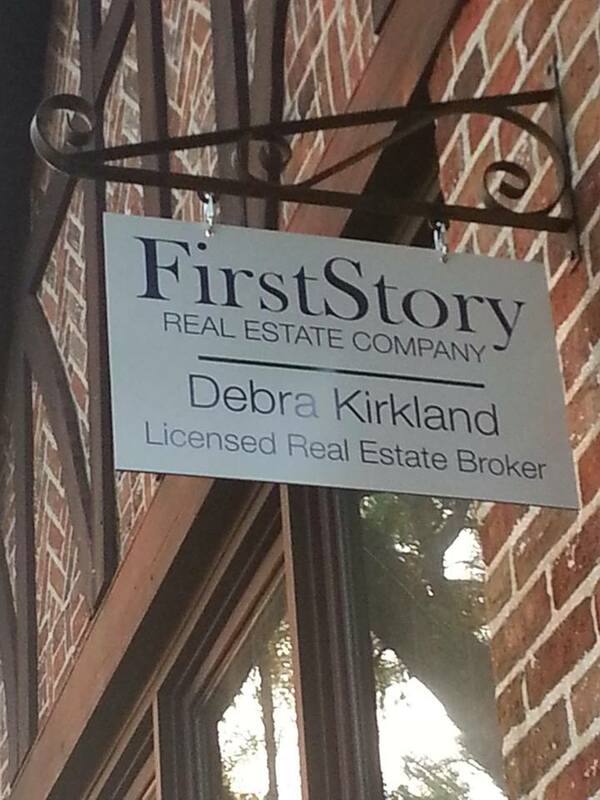 In just 4 months Broker Debbie Kirkland has led First Story Real Estate to very near the Top of the sales production lists for the Tallahassee, FL area. Broker Debbie Kirkland, a Realtor since 2002 and herself a Top 5% producer, had a dream of changing the real estate business culture and climate for agents and for customers and is now making that dream come true for new agents, and other Top Producing Realtors in the Tallahassee, FL area. When asked in a recent interview webcast by Kelly Mitchell of Agent Caffeine: FUEL for YourReal Estate Business founder, as to why she started a new company and what advice she had for other Brokers perhaps walking the same path, Broker Debbie shared her experiences in starting a new company and the excitement of the venture and the pitfalls along the way. All in all, a new business venture has far surpassed her goals and is launching a new wave of agent on-boarding in the next few months along with a dynamic marketing plan for sellers and a new real estate buying experience for customers in Tallahassee, FL. It all begins with hiring people who share the passion for real estate, and who understand the culture of today’s consumers, the way they shop, their ever-changing financial pictures, and who are experienced enough to overcome objections and worries of real estate customers. It also begins with agents who share a passion for learning, and communicating with today’s real estate buyers and sellers. We really are different. We are unique. We are all that is good in the real estate space. All that is ethical, professional and we are shaped by a higher level of expectations, not just from customers, but from within. We are closer. We lean in. We listen, but we hear. We serve. We are the first story for some, for others the second, third and re-written stories. We are partners in creating the space people call home, in finding the investments that people need to grow and prosper, and the tissue holders when people have to say goodbye. There is nothing ordinary about First Story Real Estate Company in Tallahassee, FL. Partly by design, partly because of who we inherently are as human beings. More to come about First Story Real Estate Company, the business and technology tools for agents and customers that make working together a fluid, efficient process, and about the importance of building life-long relationships with customers. If you are thinking of buying or selling or relocating to Tallahassee, FL, Contact First Story Real Estate, and experience the change in real estate!